The logic is indirect, autophagy is a key innate immune mechanism against intracellular pathogens and protein restriction upregulates autophagy. Search Pubmed for “autophagy immune” and you’ll get some leads on the immune angle, and “autophagy protein restriction” will give leads to the other half of the argument, mostly derived from the longevity literature. Another aspect of this is that amino acid sequestration is another key part of the innate immune response. Interferon-gamma leads to sequestration of tryptophan for instance. Amino acids are needed for viral and protein replication, so minimizing the amount floating around in cells can slow down infection progression. Hi Paul, I’ve read you interesting article, but in your 150 g, do you include a vegetal protein too? I eat a lot of carb and vegetal protein are about 50 g/day. My weight is 60-65 kg so I should eat 110-120 g/day, 60-70 from animal source and 50 from vegetal source. Yes, all sources of protein are included. 110-120 g/day would be a good protein intake for a strength-oriented athlete, and higher than our recommendation for others. You theorise that moderate-high protein diets can cause toxicity by saturating ammonia-processing capabilities. You suggest that it may be possible to keep protein synthesis high on a lower protein diet by using supplements such as BCAA’s or Leucine, which seems to indicate by process of elimination that you feel these supplements do not cause the ammonia toxicity problems that a high protein diet could. Do you have any research to show this? All amino acid contribute to nitrogen and ammonia, including BCAAs and leucine. I want to make clear that what you are calling a “lower protein diet” is what I call a “high protein diet” — near 600 calories / 150 g per day. At this level of protein intake, I believe it is unhealthy to just keep adding whole protein. Rather, stimulus to muscle synthesis is better obtained by (a) adding carbs and/or (b) altering the mix of amino acids without changing the amount of total protein by slightly decreasing whole protein and slightly increasing BCAAs or leucine. I’ve presented the reasoning, with evidence for each step, in the book. It’s basically a simple diminishing returns and increasing toxicity argument. I have recently dropped my protein intake a bit from the 1g per lb I used to have when I was powerlifting and weightlifting. I now consume about 0.8g per lb which at a relatively lean bodyweight of 156.2lbs is about 125g protein a day. On top of this though I am taking 15g BCAAs before training. I have matched my protein with 125g carbs, although some of those carbs are from moderately starch veg like beetroot and some green beans and sugarsnap peas. I’m presuming this should allow a decent rate of protein synthesis and recovery, but i will have to wait and see. So now that I have established from your response that BCAAs and leucine have an ammonia load, is it possible that BCAAs or leucine would have LESS of an ammonia load than whole food protein? I think what you’re doing is great. There’s certainly some variation in the nitrogen to mass ratio in the different amino acids, but I don’t think it’s all that significant. I haven’t calculated it. Dear Paul,I don´t want to bother you with basic questions, but after reading the book and these excellent articles on protein consumption, I´m still a little bit confused about the way you count protein. That’s generally for cooked meat. The data is available at http://nutritiondata.com; you can look up specific cuts, often with different methods of cooking. Really interesting posts the old standard of 1g/lb for athletes needs a bit more thought and this perfect. I have been eating closer to 180-200g at a bodyweight of 190 pounds. I will lower this to 150 total including BCAA While keeping my Carbohydrate at about 175 as I am exercising about and hour a day. I have been thinking a bit on cycling protein, perhaps just eating no protein or carbohydrate one day per week (coconut oil) to promote Autophagy. P.S. My wife and I both read your book. We are also both going to reread it as it deserves at least that. Thanks, Stephen. Best of luck to you and your wife. I completely agree with the review on your book given by Chris Kresser. 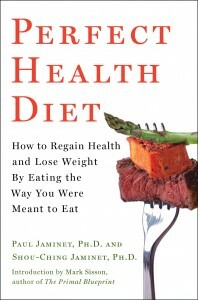 It certainly is ,in my opinion, the best book on nutrition out there. I’ve bought copies for my entire family. I’m an amateur bodybuilder and I’ve been struggling to gain muscle mass for the past year. I’ve been on high carb and high protein diets but barely gained any muscle mass, only fat and water mass. I’ve read your book and greatly increased my saturated fat intake from butter and whole eggs while simultaneously removing all grains, excess omega-6 and fructose from my diet. I’m getting leaner and my muscles are developing better. What’s really surprising is that my calorie intake is higher and I’m losing fat mass!! About 400 calories more per day. (I keep a very accurate record of my calorie intake). I’ve noticed that my acne has flared up which I assume is due to the increase in saturated fat. I’ll give 3 weeks for my testosterone production to normalise. If it doesn’t it may be the casein protein in butter (although the protein content in butter is 0.3g per 100g – rather low). Do you have any idea what might have caused the acne flare up? It’s great to hear of your success! Very likely the acne is due to an increase in fat-soluble toxins being imported from the gut, possibly aggravated by higher testosterone. This probably reflects a pre-existing mild gut dysbiosis which the fattier diet is revealing, and should improve in time as your gut becomes less leaky. You can do a few things to help. Some foods, like potatoes, may help increase the rate of toxin excretion. 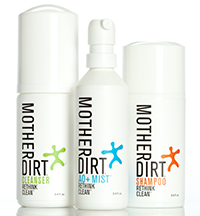 Activated charcoal or bentonite clay can also help. Improving liver glutathione status may help, as well as extra vitamin C. Bone broth soups with lots of gelatin from attached joint tissue may improve gut integrity. Finally, improving the gut flora with fermented foods and probiotics, and immunity with sun exposure (D/A/K2 optimization) should help. Zinc, pantethine, vitamin A, and some other nutrients also support skin health. Food sensitivities like casein could also matter. Thanks for the tip about the USDA food search program. My major problem with all these “alternative” diets (PHD/Paleo/WAP and so on) is that I find it hard to get my excess calories. I’m into power lifting and strength training. First of all, I’m not primarily interested in gaining mass or building muscle – I’m more interested in lifting heavier and better (the mass comes second as a result of heavier loads on the bar). Trouble is, when excluding grains, sugar and “bad” fats – I’m left with complex carbs, and no “easy” way to get more calories. I’m not good with milk or sugar at all, I’ve had serious trouble with candida but it has been better since I’ve started eating fermented veggies. I’d say I’m properly fed with nutrition but I’m lacking the caloric intake needed to maintain progress in my lifting. – My question to both Matt and Paul is: is there an easy way of eating loads of calories on a non-toxic and healthier diet? I know I’ll have to increase the amount of food that I eat but maybe you have some advice on how to do it? Eating well does reduce appetite. Your appetite is trying to make you healthy rather than large, and once you are well nourished it asks you to stop eating. – Make your food tasty. To every meal, add an acid (vinegar, lemon juice), salt, or a salty acid (fermented fish oil, fermented vegetable brine). Mix fat and carbs. – Emphasize carbs more than protein. – Supplement leucine / BCAAs to shift the amino acid mix a bit. I understand your problem, but training to be a power-lifter is not a strict as that for a body-builder. You are simply not eating enough to gain excess weight. You will need at least 3500 kcal/day to gain the weight (fat and muscle) that you are looking for. Excellent advice on calorie intake and bodyfat is given in Starting Strength 3rd Edition by Mark Rippetoe (if you don’t own a copy shame on you). There’s a good section on nutrition. I love Mark, he’s a very blunt writer. If you are not currently recording your calorie intake daily, I suggest you do. Get a cheap kitchen scale and measure your portions of food, use a database of nutritional information (see my previous post for a software tool) and calculate your calorie intake. Some people severely under estimate their calorie intake (and some over estimate to). You might be surprised to find that you don’t consume more than 2200 kcal/day. (At your current height and mass you are probably eating close to this amount per day.) This is too low for mass gains. Another good book (for interest) is Super Squats by Randall J Strossen. This book was written in 1989 but is still an inspirational read. Chapter 2 describes the lifting and eating power of some renowned power-lifters. The book is only 90 pages you can read it in an hour. To get your excess calories I suggest you focus on fat – butter/ghee and the fatty cuts of beef/lamb. There’s no real other alternative. Fat is the most dense source of calories. The saturated fat from butter will help with testosterone production to! If you feel uneasy eating butter/ghee directly, put it in a blender with food you like – use your imagination. Think of this as the “milk” you can’t drink. Does the carb timing theory make sense to you? I’ve been hearing for years now that the best time to consume starchy carbs is within a couple of hours of intense workout. This is apparently also the best time to take supplemental creatine and other supplements that you’d like to have ‘pulled into’ muscle via the insulin gateway. Yes, I agree with that. The first few hours after exercise is the time to supply food. Should be a mix of carb/protein/saturated fat. Most of the discussion here goes to “daily” intake. What about a macro balance over several days with carb and calorie cycling on training days (as is seen in many programs)? My ignorant assumption is that 1 very high carb day would provide enough glucose for 1-2 low-carb days (assuming training is not too intense). The following would, over 7 days, come to the same totals as above. Carbs aren’t stored very long in the body — there is enough for about 20 hours of usage. So a multi-day period of carb restriction leads to protein wasting. 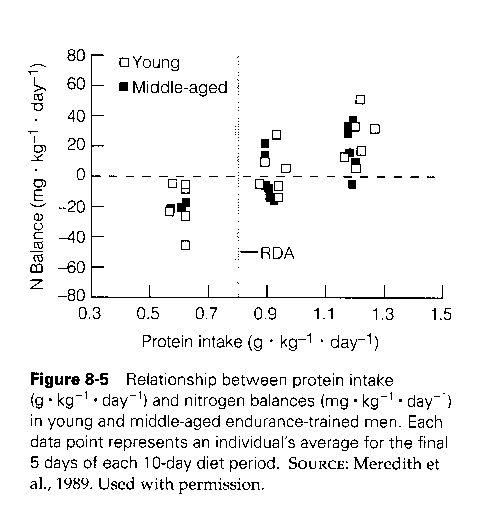 Alternate-day carb fasting accompanied by a high protein intake such as 150 g/day will not lead to any deficiency conditions, so it is a reasonably healthy approach. But I think you could do better with a bit more carbs and less protein, which I would expect to improve the gut flora and also reduce adrenal stress. Paul – Thanks. I will adjust my protein down a bit. I’m in the progress of gaining weight and had been hitting between 190-230g. I know many folks who do fine with that, but due to my lack of a gallbladder I feel my body as a whole is more susceptible to toxin build up. Such as the cystic acne I easily get due to slowed digestion. Where can I reference the 20 hour glucose usage you mentioned? Hello again, it’s been a while and my weight has gone up – (last post was 70,4 kilograms, now I’m at 83,4 kg!). I eat lot’s of potatoes and rice, beef, lamb and salmon and vegetables. And loads of butter! I wanted to thank you both for your advice, I’m now doing the starting strength program (3rd week into it) as a little project, also drinking 2 liters of milk a day (about half a gallon). I might just have a small problem though, recently I’ve been approved for a pollen allergy-treatment (hyposensibilization) and in the middle of this I found out I might be allergic to peanuts and or eggs (blood samples is going to be taken today and the results will get back in two weeks). I can live without peanuts/peanutbutter – but to be honest, no eggs might break me. Do you have any good substitute – bot for proteins and vitamins/minerals? Definitely stay away from peanuts — nut butters and tree nuts are much better — and I would stop eating egg whites (meat or fish instead), but I would continue to eat the egg yolks unless you get a very strong reaction. Egg sensitivities tend to come and go, so you can hope that with time and digestive healing you’ll tolerate them better. Just a quick one, would you recommend to eat them raw or boil the eggs and throw the whites away? (I like my yolks mushy when boiled). However you like them. I eat mine warmed or lightly cooked, usually in a soup. I do none of that Crossfit/Metabolic conditioning/interval training(heart pumping) work and only pure strength dedicated work through gymnastics/movement with the goal of gaining more relative bodyweight strength (not necessarily more hypertrophy as in body building; muscle gain is fine so long as the focus is on maximizing relative bodyweight strength a la gymnasts). For the intake of macronutrients, should they be based on “ideal” Lean body mass that we wish to achieve or is it more of a blanket recommendation? Thank you for any input you can provide here! It doesn’t matter much whether you choose lean or whole body mass since we recommend being near the middle of the healthy protein range and adjusting for taste, so we think you’ll naturally find the right protein intake. Carb: 600 calories + as needed to support extended exercise. Protein: For most people 1 g / kg body weight is a good number. In those seeking to maximize muscle mass, this could be augmented by BCAA/leucine; or additional protein could be eaten. Since you want less mass but a high ratio of strength to bodyweight, you would be one of the persons most likely to benefit from BCAA/leucine supplementation. So the one thing I still wonder about after reading this, does it matter if your body uses the protein or not when considering ammonia production? In other words, every gram of protein that is taken up by the body will result in x grams of ammonia to be converted into urea, no matter if you use the amino acids for muscle repair/building, glucose production or peeing out? The protein only releases nitrogen if it is metabolized for energy. Excretion of amino acids or their usage in tissue doesn’t release nitrogen. So will the body metabolize protein if ample carbs are available? If not, does that mean protein toxicity disappears for high-carbers? Eating carbs does reduce protein metabolization. That enables high carbers to eat less protein, and does reduce ammonia toxicity. However, I think at normal levels of protein metabolism the ammonia is not really a problem — the liver can convert it to urea fairly well. It’s when you start getting up to very high protein intakes (so that you also have the problem of unabsorbed protein metabolized by gut bacteria releasing waste toxins) that toxicity from protein becomes a problem. Gout is about purines which are derived from adenosine (of ATP) or DNA/RNA. So protein doesn’t figure strongly into it, rather ATP-depleting foods like fructose and alcohol strongly promote it. Excess protein is mostly refused by the digestive tract and may be metabolized by gut bacteria, releasing nitrogen/ammonia from the gut; so it is more important to reduce protein intake than to increase carbs. I’ve been eating this way for some time and hugely appreciate the work you’ve been doing. Since starting, however, I’ve found I’ve been quite a bit thirstier than usual. Is this indicative of anything I should be concerned about? That’s unusual – whole foods are water-rich and usually when people switch to a natural whole foods diet they find they drink less water. I would make sure you have a sufficiency of electrolytes (tomato-potato for potassium, salt, magnesium, bone broth for calcium) and try to replace any flour-based products like rice crackers with whole foods. If you are urinating excessively due to adrenal stress, eat a protein-and-potassium breakfast (eg egg, tomato, potato) instead of intermittent fasting. It seems you prefer supplement leucine instead of whey, which also contains leucine.But taking leucine only can cause insuline spike. Why not whey protein, which I think is a more “natural” food? Whey is fine. Actually, fish, meat, and eggs are better than whey. BCAA mixtures are better than leucine-only as a supplement. If I name specific amino acids, it is because of biology research indicating that they matter. It is not meant to imply that one should obtain these nutrients as purified amino acids. Aside from very specific applications for high training volume athletes, do you any reason that BCAAs should be consumed on their own versus with one of your meals during the day? May I ask about your opinion on cyclical carb restriction programs, like CarbNite or CarbBackLoading from a health perspective? Doesn’t the ketogenic state prevent muscle breakdown, while the negatives of constant ketosis (dry eyes etc.) are negated by the carb refeeds every 5-7 days? Excellent article. On a tangentially related question, for someone who want to focus on building muscle, are there any specific changes to recommended micro-nutrient intake to promote muscle synthesis/recovery or will just hitting the higher end of recommendations (protein, fats, various nutrients) cover all of those areas just fine? I think for building muscle, you should generally increase calories by about 25% on workout days, and can increase protein from about 15% of energy to about 20%. So a typical macro intake would be 30% carbs 20% protein 50% fat. On a weight loss diet it might go as far as 40% carbs 25% protein 35% fat, due to fat restriction, but don’t go lower fat than that. You can also adjust the timing of meal intake a bit to associate meals closely with exercise. Eat a protein snack just before a workout and then a full meal soon afterwards. Thanks for the reply. Very useful info, especially the elaboration from what was in the book. I was curious if there were any micro-nutritional adjustments you feel would aid/benefit building size (akin to recommending extra eggs/folate for pregnant women) like extra calcium because of the correlation between bone-size/density and lifting (or is that a myth?). All the literature out there is solely focused on macro-nutrients (especially protein) so any insight there would be great. Otherwise I figure eating the upper end of recommended nutrient levels from the book should suffice. Great info – my questions is, how do I determine my calories on a non-workout day vs a workout day. There are calculators online that say I should be eating aprox 2500 calories to gain 2 lbs a week. Should I be eating that daily, or only on workout days?